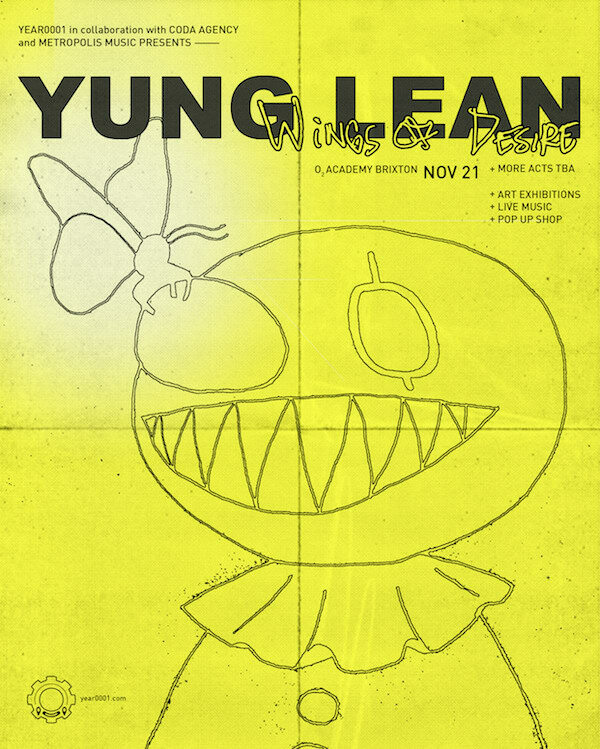 A night of live music and art curated by Yung Lean. 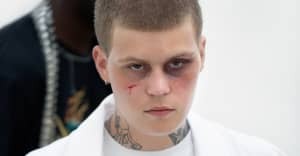 Yung Lean has announced details of his biggest U.K. headline show to date. He will perform at an event dubbed "Wings of Desire" at London's 5000 capacity O2 Academy Brixton on November 21. The night will include a mix of live music and art curated by the Swedish rapper. 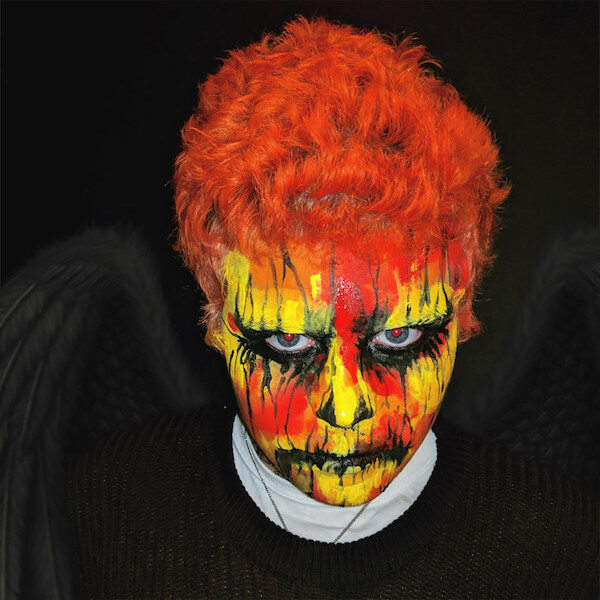 A press release promises "very special guests and performers," plus "art exhibitions, a pop-up shop with exclusive Wings of Desire items, and much more to be announced." The London concert follows Lean's 2017 album Stranger. Tickets for "Wings of Desire" are available from Friday, June 15.